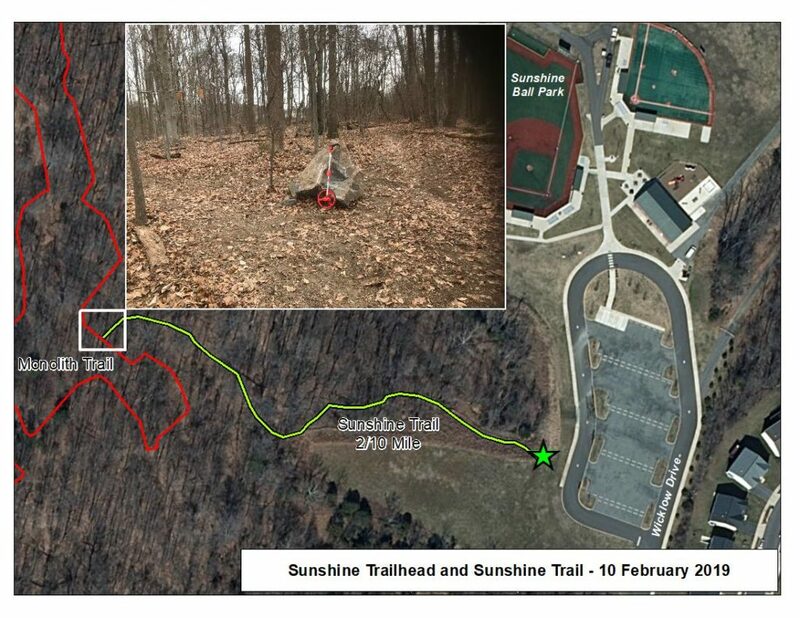 Sunshine Trail is officially installed thanks to 20 awesome volunteers who invested some sweat equity into this new entry point to the Quarry’s East Side trails. In addition to the volunteer muscle, we had some hydraulic muscle from Fredericksburg Deck Builders, Inc. as they pushed a lot of dirt around for us and made some tough things easy. This 2/10 mile trail is going to be complimented by more good news coming soon. Even though this new trail is only at 90% completion, we would encourage all users to start using this trail as opposed to using Wicklow Drive or the other undocumented trails that enter on to Naysayer Trail. We will continue to fine tune this trail as it gets some use. Unfortunately, we didn’t get a group photo, but thanks again to everyone who came out to play!